Suriname is a country located on the north-eastern Atlantic coast of South America. It is the smallest nation on the continent and plays host to a population of just over half a million. It’s culturally similar to the Caribbean and ships produce such as rice, bananas and sugar. Its greatest exports, however, come in the form of truly gifted footballers. After originally being explored by the British in the late 17th century, it was the Dutch that colonised Suriname and began to make the most of their agricultural riches. They relied heavily on African slaves to harvest the land and ship goods back to the port of Rotterdam, and eventually – after an agreement with Britain was struck – made Suriname a constitute of the Kingdom of the Netherlands. Suriname’s national language became Dutch and it remained a colony of Netherlands right up until gaining independence in 1975. Despite some positives deriving from self-governance, many of the nation’s inhabitants chose to emigrate to their former European rulers, given the increased opportunity of employment and supplementary salaries. It is here that the next generation of Oranje stars were born. As Dutch football writer Sander Ijtsma notes, “Holland’s national team has undoubtedly benefitted from using Suriname-born players, who had the potential to make quite the impact.” The Netherlands is widely known for its egalitarian society, however, and as many Surinamese locales will tell you, the first wave of mass migration was not received warmly by all. 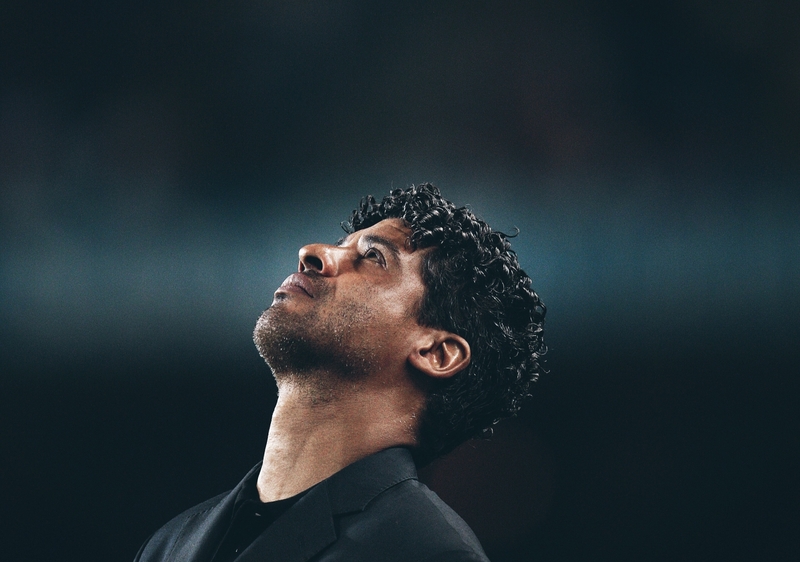 “You had to be at least twice as good as a white player in the same position. Many players quit the game because they weren’t being given the chance to prove themselves. Today, people’s eyes are more open but in the past it was a real struggle.” Those are the words of former Ajax, Milan, Barcelona and Netherlands international Winston Bogarde. Fortunately, in some cases ability trumped prejudice and the Eredivisie was graced by faces of Surinamese descent that would later go on to become Dutch greats. Holland were coming off the back of a golden era. The 1970s side revered for its Total Football had imbued the beautiful game with revolutionary tactics and awe-inspiring play. Oranje reached consecutive World Cup finals in 1974 and ’78, ultimately losing both. 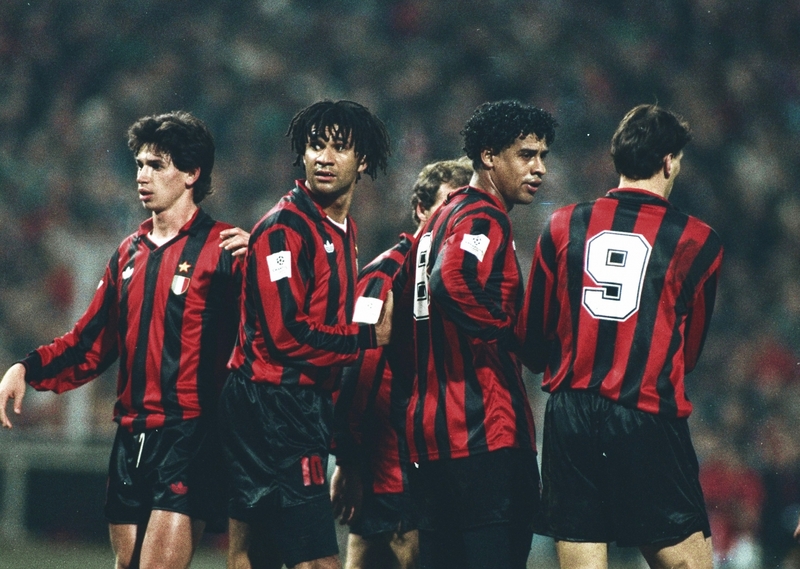 Form dipped during a transitional period as the great team of Johan Cruyff, Johan Neeskens and Ruud Krol paved the way for a more multi-cultural squad. What followed marked the Netherland’s greatest international achievement to date. 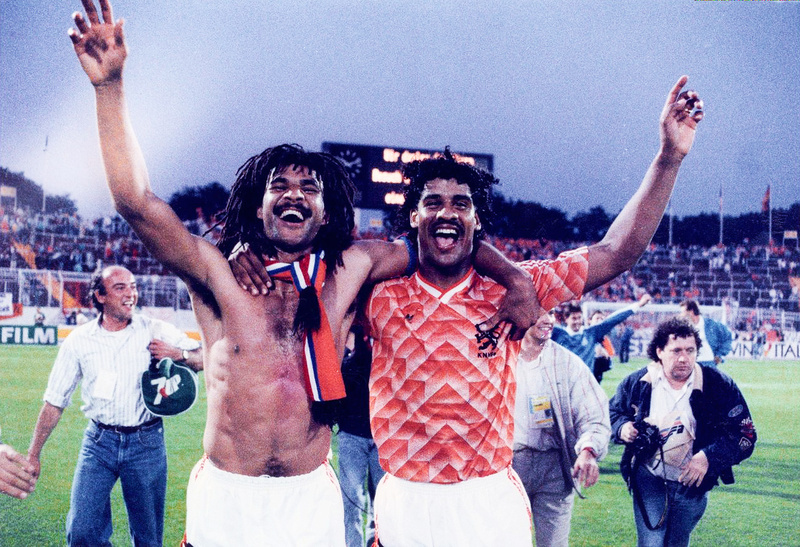 Still playing with the idiosyncratic verve synonymous with the Dutch style, Surinamese stars such as Frank Rijkaard and Ruud Gullit broke onto the scene and combined technically exquisite football with a dash of South American flair. Their exuberance breathed new life into the squad as they went on to capture the 1988 European Championship. After ending their major tournament hoodoo and bringing international acclaim to the low country, Surinamese migrants were finally celebrated more than criticised. This was never more prevalent than when a charity match was organised in 1991 to help raise funds for victim’s families of a plane crash just outside of Paramaribo, Suriname’s capital. The match pitted a Suriname side containing the likes of Gullit, Rijkaard and Bogarde against a Dutch select XI in front of a mutual partisan crowd. Suriname ran out 3-1 victors. Sadly the delicate issue of racism returned to fore once again in 1996. With rifts appearing in the national squad during Euro 96, newspapers and various other media outlets rather presumptuously claimed there was a divide between the white and black players after pictures emerged of the team eating lunch on separate tables. Tan rubbished the rumours explaining the rift was more to do with manager Guus Hiddink placing too much faith in the senior players and disregarding their youthful counterparts. 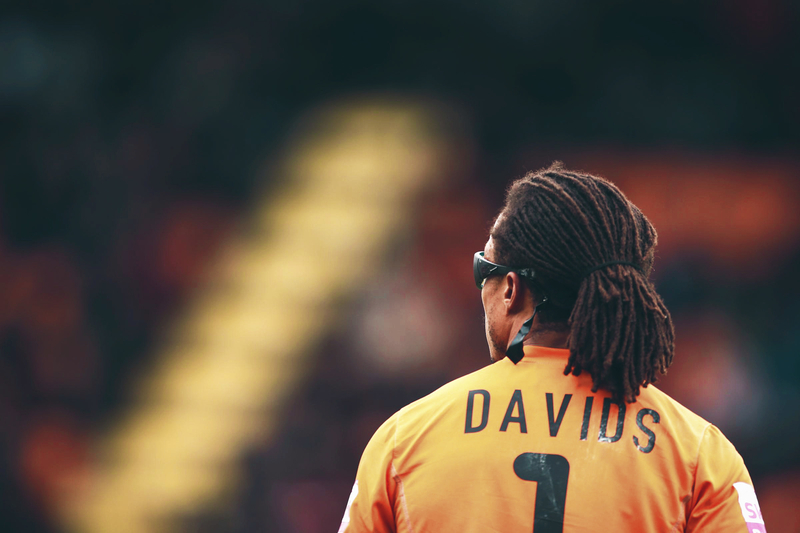 With Louis van Gaal’s legendary Ajax side lifting the 1995 Champions League, many thought that Surinamese players like Edgar Davids, Clarence Seedorf and Patrick Kluivert deserved more recognition on the international stage. The obdurate Hiddink, however, held a diametrically opposing view. The Surinamese were also often unfairly awarded the epithet ‘lazy’ due to their laid-back Caribbean culture, but whether this insular stereotype played a part or not has never been proven. With the sardonic attitude surrounding Surinamese players in the mid-90s, it begs the question as to why more of them did not chose to represent their homeland internationally. The answer lies in the current socio-political landscape of Suriname. Since its independence, the country has been a place of unease as dictatorships have seen unemployment figures and famine continually rise. One law states that any citizen who migrates to the Netherlands is no longer eligible to represent the national side. This puts young indigenous players in an uncompromising position when pursuing a career in football. The standard of coaching is poor in comparison to Europe and the league structure also leaves a lot to be desired, creating a kind of catch 22 situation. So when youngsters are offered academy trials and professional contracts in the Netherlands it’s little wonder they opt out of Suriname’s national programme. Currently ranked 118th in FIFA’s footballing ladder, and their only star of any note being Giovanni Drenthe – Royston’s brother – the nation’s hopes of qualifying for a maiden World Cup or Olympics seem bleak. To this day Oranje still profits from Surinamese players, with the latest crop of international stars including Virgil van Dijk, Jeffrey Bruma, Michel Vorm and Georgino Wijnaldum. The relationship between the two nations has been arduous at times but the proclivity to migrate has ascended the Dutch to glory and will surely bear more fruit than just bananas in years to come.